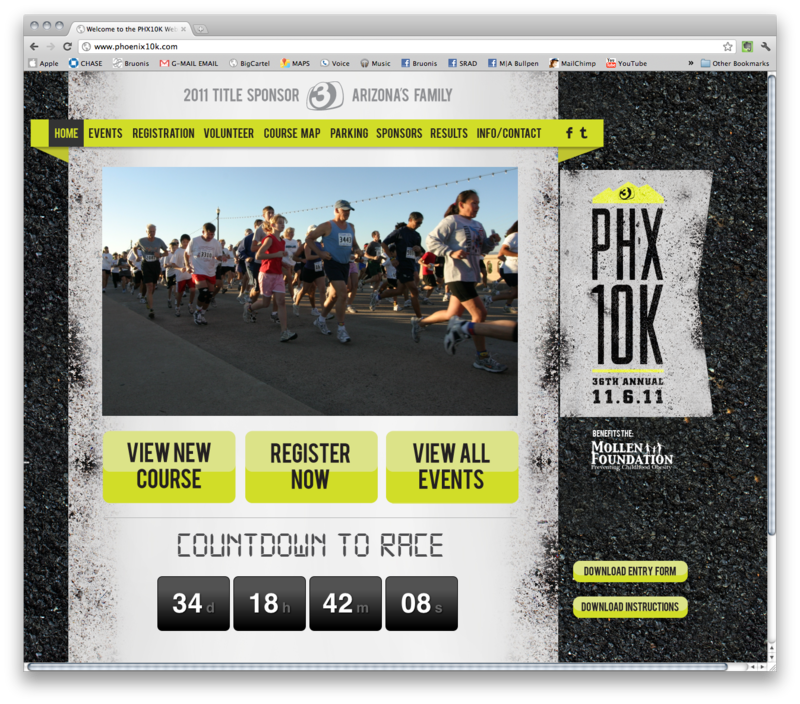 So after a working all summer and the beginning of fall, we have finished all the pieces for the 2011 PHX10K. This project was worked on by my amazing interns and I filled in on the projects they couldn't work on. I have a strict policy that the interns can not work on work we get paid for, since our internship is unpaid. - and tying up a few other loose ends. The interns designed and presented their work straight to the client. Since they are interns there were room for improvements when it came to presenting, but overall they did great. Marisa (AD) was used to my expectation for perfection and grew tremendously as a potential junior candidate after graduation. Madison made sure that every sentence of copy in the website made sense, though sometimes she ended up confusing herself which was quite amusing. In the end they got it done and the client is excited about the event.